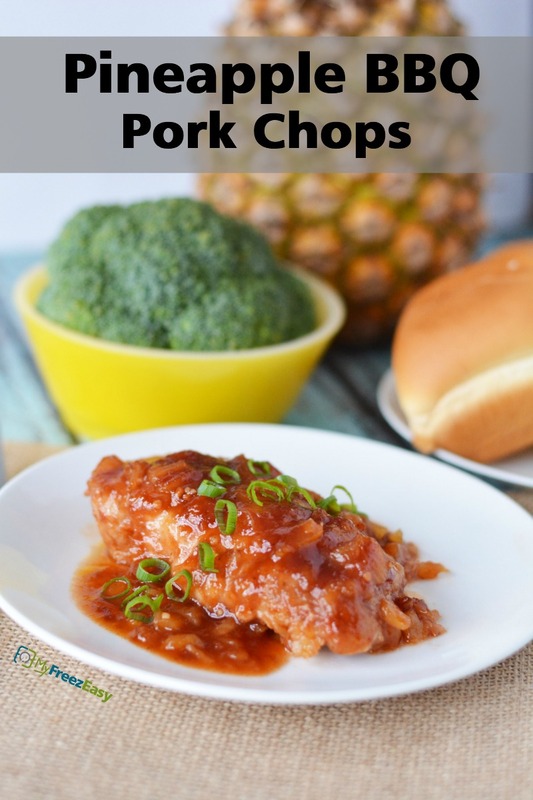 Next level your BBQ pork chops by adding crushed pineapple into the BBQ sauce before baking them. Yes, it’s that easy! I’ve also kicked up the heat and garlic (go figure!) by mixing a little hot sauce, garlic and onion in as well. In a small bowl, whisk together the crushed pineapple (with juices), BBQ sauce, hot sauce, minced garlic, and minced onion. Pour a thin layer into the base of the baking dish and spread around. 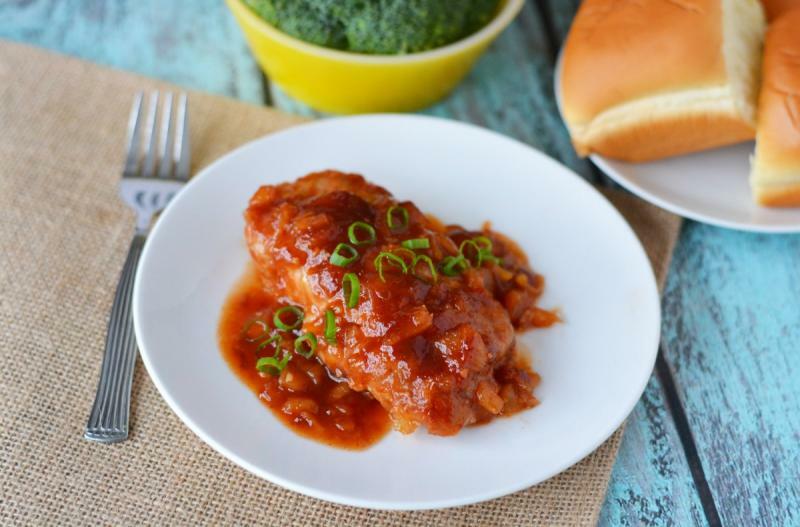 Place the pork chops into the saucy baking dish, season with a little salt and pepper, and then pour the remaining pineapple BBQ sauce evenly over the pork chops. In a small mixing bowl, whisk together 2 cans of crushed pineapple, 2 cups BBQ sauce, 2 tsp hot sauce, 2 tsp minced garlic and 2 tsp minced onion. Recipe is gluten-free when served with gluten-free sides like rice or mashed potatoes. Thaw and transfer pork chops and sauce to baking dish. Bake at 350 F for 25 to 40 minutes, or until pork chops are done.